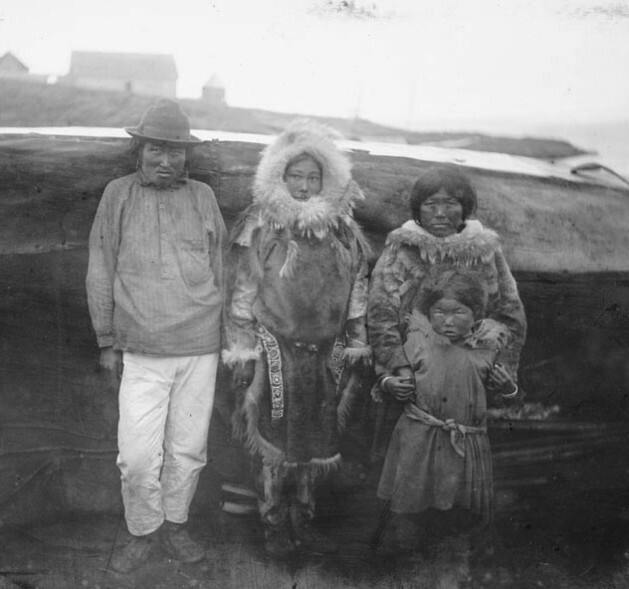 A family poses, with woman (center) wearing a fancy fur parka. Norton Bay, circa 1877-1881. Photo by Edward W. Nelson; courtesy of the National Anthropological Archives, Smithsonian Institution, BAEGN6918.